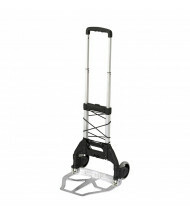 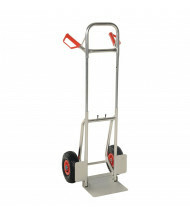 Save over 60% with our selection of folding hand trucks that help move smaller loads more easily. 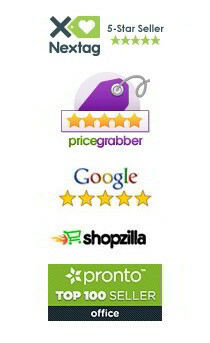 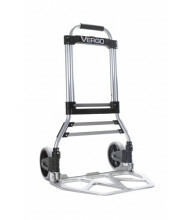 Top-selling brands Safco, Vergo Industrial, Vestil, and Wesco make quality products at affordable prices. 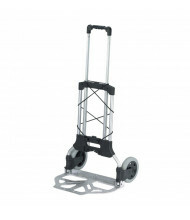 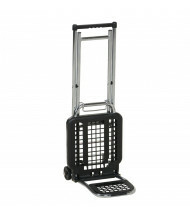 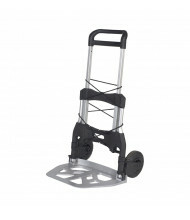 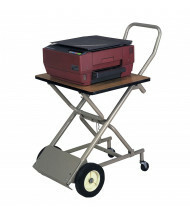 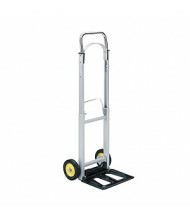 These hand trucks fold down for better portability and easier storage. 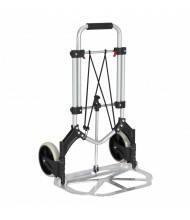 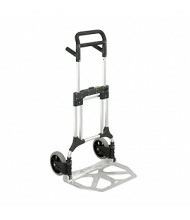 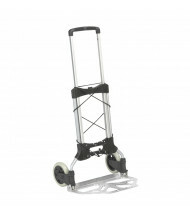 Folding hand trucks provide smooth mobility for loads between 50 to 550 lbs. 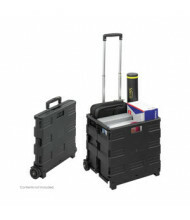 Traditional noseplate and crate configurations available. 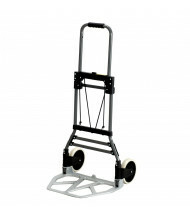 Frame materials include durable plastic, steel, and aluminum options.